(Silver Spring, Md.) 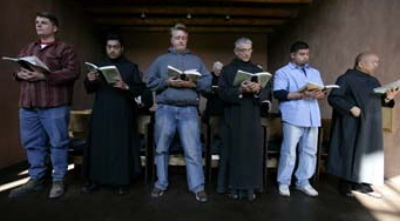 -- In TLC�s groundbreaking new series, five men�each in the midst of personal crisis�agree to take a leap of faith: for 40 days they will leave families and jobs behind to embark on a spiritual quest led by 30 Benedictine monks. 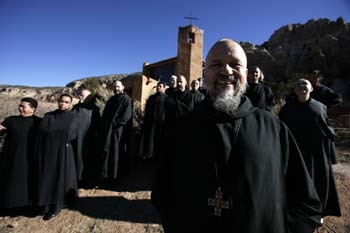 THE MONASTERY premieres Sunday, October 22, at 10 PM (ET/PT) and follows five men of varied backgrounds and faiths who volunteer to join a Benedictine monastery. 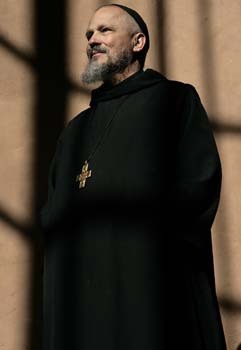 For the duration of their stay, they agree to the monastery�s strict rules and the regimen of prayer, study, reflection and manual labor set out by St. Benedict 1,500 years ago�a regimen that the monks believe, followed correctly, can transform lives. 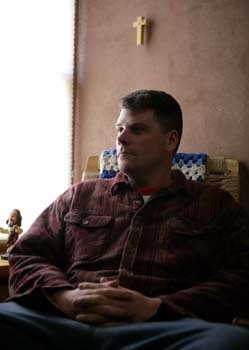 The men featured in THE MONASTERY come from all walks of life � a recovering alcoholic, an ex-con, a veteran of the war in Iraq, a cynic and an aspiring Episcopal priest. Despite their different backgrounds and faiths, all participants share hope that this journey will put their lives back on track. 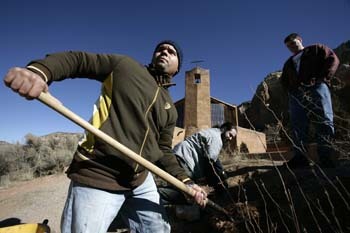 Filmed at The Monastery of Christ in the Desert in northern New Mexico, THE MONASTERY offers a rare glimpse into a closed community that follows an ancient discipline. 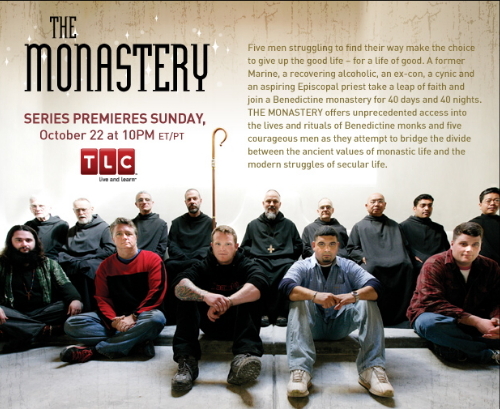 Each of the five hour-long episodes follows the men as they struggle with the rigors of monastic life. The group is guided by Abbot Philip Lawrence, who pairs each participant with a monk as a mentor to share their experiences and daily struggles. Participants are also furnished with private video cameras to record their thoughts and reactions throughout the process. THE MONASTERY is an unusual and powerful series, shot as an observational documentary. The men�s journeys are authentic; their experiences and revelations heartfelt and genuine. THE MONASTERY is produced by Tiger/Tigress Productions for TLC. Charles Brand and Christine Weber are the executive producers and Sara Woodford is the series producer for Tiger/Tigress Productions. Brooke Runnette is the executive producer for TLC. Discovery Communications, Inc. is the leading global real-world media company with operations in 170 countries and territories reaching 1.4 billion cumulative subscribers. DCI�s over 100 networks of distinctive programming represent 29 trusted brands including Discovery Channel, TLC and Animal Planet. DCI�s other properties consist of Discovery Education and COSMEO, a revolutionary online homework help service, as well as Discovery Commerce, which operates more than 100 Discovery Channel Stores in the U.S. Discovery brings the real world to the whole world through its global multiplatform initiatives including Discovery Travel Media, Discovery Mobile and multiple broadband services. DCI�s ownership consists of four shareholders: Discovery Holding Company (NASDAQ: DISCA, DISCB), Cox Communications, Inc., Advance/Newhouse Communications and John S. Hendricks, the Company�s Founder and Chairman. More information about Discovery and its businesses can be found at www.discovery.com. Warren is a self-described introvert who spends most of his time on the computer and reading. 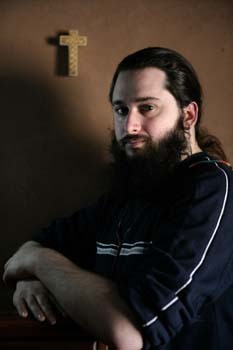 Warren enjoys science fiction and fantasy books, and describes himself as a typical �Trekkie.� He comes from a church-going family but in his teenage years experimented with various religions such as Buddhism, Wicca, Druidism and even Satanism. 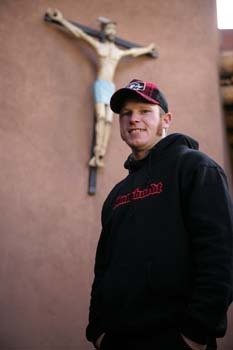 It was while in the last phase that Warren says he heard a voice and realized God did love him. From that point on, Warren has been an active member of the church. Warren hopes to one day become an Episcopal priest. His interest in God stems from his passion for physics. Warren says that understanding how the earth works scientifically helps him to better understand its creator. He was pursuing a physics degree at Worcester Polytechnic Institute in Massachusetts until recently, when financial problems forced him to drop out. Now working to make ends meet, Warren hopes soon to get back on track to pursue his dreams of finishing his physics degree and going on to post-graduate theology studies. Tom describes himself as a 46-year-old in the body of a 62-year-old with the emotional age of a 7-year-old. 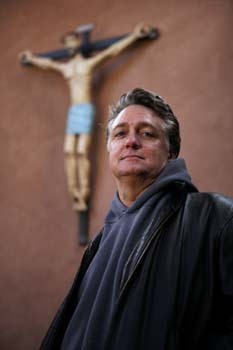 Raised Catholic, he attended Jesuit high school and college, but he lost his connection to God years ago. Once a successful comedy writer in Hollywood, Tom lost everything to alcohol and drugs, and his addictions eventually rendered him homeless. He finally got clean three years ago with AA�s Twelve Step program, but has struggled with its requirement of giving oneself over to a higher power. Recently married, his life is stabilizing. Now he wants to continue his spiritual search inside the monastery. He sees how faith makes other people happy, and now wants to find out whether re-establishing a connection with God can bring him more happiness too. 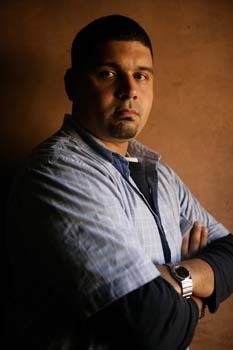 Will was a gang member in Boston in the late 1980s who was convicted for trafficking cocaine. While Will was serving six years in prison, his younger brother joined his gang and, after opening fire on police, was shot and killed. With plenty of time to think in jail, Will gradually realized the part he had played in his brother�s downfall, and became a practicing Catholic, bent on redeeming himself. Upon release from prison, Will�s prayers led him to put his gang experience to positive work and now he runs a youth outreach program for his neighborhood�s YMCA. But he has dedicated himself so much to his job, working 90-95 hours per week, that he has no time for his family. Will was married with two kids but is currently going through a divorce. Now, he is involved in a second family with a new baby daughter. Will knows he has to find a better balance between being a leader in his community and a leader for his family. He hopes his time in the monastery will help him find that balance. Alex is a former Marine, feted as a war hero in his California hometown. He cheerfully describes his stint in Iraq, where he spent most of his time on the front lines, as �the Superbowl, every day.� Alex lost a leg in his final skirmish�an injury that could have easily proved fatal. Now back home living with his parents, he�s looking for some direction for the rest of his life. Raised in a secular home where it was common to poke fun at the religion, Alex says he had no faith of any kind while in Iraq. But now Alex is curious. He wants to find out whether the monks can convince him there�s a God. If they can convince him, he says, they can convince anyone. Jon Willoughby, a paramedic, doesn't miss a beat. With a biting comment for every occasion, Jon is as cynical as they come. He doesn't trust kind people because he thinks they are not genuine. He'd like to believe people are good but says you eventually wind up disappointed by their greed or mean spirit. When Jon was a teenager, a close friend shot himself over a girl. Jon says this experience was the foundation for his inability to really commit to a relationship---or to trust women. It�s about the only risk he�s not willing to take. He's gone to fight fires in Iraq and currently works as a paramedic and fireman in Flint, Michigan. For fun, he'll jump out of a plane skydiving. Jon is hoping the monastery will help him break away from his negative view of the world and think about his attitude to life, but he knows it�s going to be a struggle. He has little time for religion, despises those who have a �blind faith� and generally mistrusts the church for its wealth while its congregation struggles in poverty.